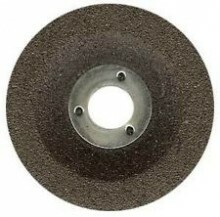 Proxxon Carborundum Grinding Discs Grit 36 For Long Neck A/Grinder Dia. 50 mm. For steel and non ferrous metals Used for de-burring, grinding, sharpening and de-rusting steel and non-ferrous metals. Click the button below to add the Carborundum Grinding Discs 36 Grit to your wish list.